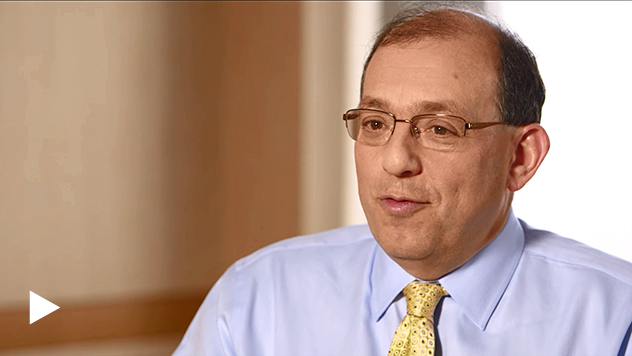 Portfolio Manager Jay Kaplan describes how he manages risk in a bull market and where he is currently finding opportunities. How Does a Contrarian Manage Risk in a bull Market? When you're a contrarian and you're in a market that's very high priced, you have to be careful. Your natural inclination as a value investor and a contrarian is to want to sell everything. Not practical, right. No one wants to really sell everything. We're here to invest, and there are great investments. So, I think what we need to do is take a holistic look at the businesses that we own and say, you know what? Even at high prices, I'm willing to stay invested in the businesses that are performing, where I like the fundamentals, where I like the backdrop, where I think the strategy is good, where I think the people are doing a great job. And then at some of those cases where the stocks are also expensive, but the fundamentals aren't great, and there are challenges, maybe I'll lighten up on some of those, and at the end of the day, have a higher quality portfolio of businesses. When valuations are low, and we're being paid to take on the risk of business challenges, that's kind of my bread and butter, and that's what we're about, and we're waiting for the next opportunity to do that. But if you're not being paid to take the risk, when the stocks that are not perfect are priced to perfection, it's time to take a little money off the table on those. How Do You Think About Business Risk? Business risk has many elements. And they get very qualitative. So, oftentimes, we talk about how we do quantitative things, and we measure and we look at PEs and cash flows and balance sheets and all of that stuff, and that's completely true. We do that. But to get down to the second level, we have to think about and understand businesses and their challenges. Our message usually is, we're happy to take operating risk as long as the price is low enough to compensate us for taking that on. And that risk can have a lot of different forms, right. It's strategy, it's execution, it's competitive, it's cyclical, it's secular, it's an industry. It can be a lot of things. In today's world, that risk-reward tradeoff for taking on the problem, which is our bread and butter, it's not really there right now. Where Are You Finding the Opportunities? More recently, I've been investing in companies that work around the human capital arena, so companies that one way or another provide workers. It could be a high-end opportunity where a company is headhunting and recruiting C-suite executives, and is doing consulting work around corporate benefit plans and compensation plans for large corporations. It could be companies that have outsourced HR recruiting for big companies. Or, it could be, in fact we have one, it's a company that provides day labor for construction and day labor for warehousing. They may not be exactly the same, but they all march to a similar drummer, and that drummer is when the economy is healthy, and unemployment is low, and people are working, there's demand for workers. So, why is there an opportunity in those stocks if you're a contrarian? The stocks are priced like there's going to be a rollover in the economy, that there'll be a rollover in employment, that this anemic recovery that we've had, long but anemic, is about to come to an end. I disagree. If you disagree with that, there's still money to be made in providing workers to companies.